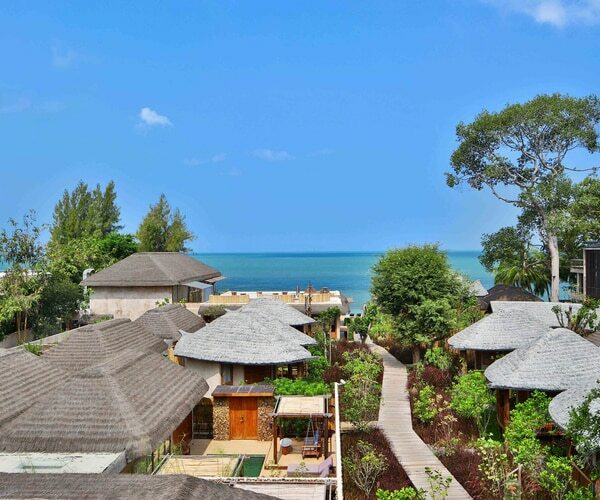 U Pattaya Hotel is located between Jomtien and Bang Saray with absolute beachfront access, suitable for discerning leisure travelers who seek serenity and privacy. The resort consists of 19 villas and 25 rooms with sizes ranging from 32 to 90sqm. The villas have a private pool and come in one- or two-bedroom options. The overall design of the resort is of a fisherman village concept using rustic wood and bamboo in the interior design. All accommodations feature free Wi-Fi, in-room luxury amenities, and other unique touches. Other facilities include a beachfront restaurant, rooftop bar, spa, infinity swimming pool, gym, and library. U Pattaya Hotel‘s unique concept of service includes 24-hour room service which will allow guests to enjoy their room, international and local calls, and pre-selected amenities such as pillows, tea, music, and soap that guests can select from the online U Choose program.